Winter is coming. And who is one of the most popular winter characters all children love? Yes, it’s a snowman! Since the times of the “Frosty the Snowman” cartoon and song the snowman has been very popular with kids in English speaking countries. I decided to write my own snowman song adapted for little children who only begin to study English as their second language. My song is called “I’m a happy Snowman” and you can listen to it in the video below. My scarf and my hat. Winter is a season when we can talk about many things with our children. The first thing is ,of course, playing in the snow. Here are some ideas and worksheets you can use during your English lessons. 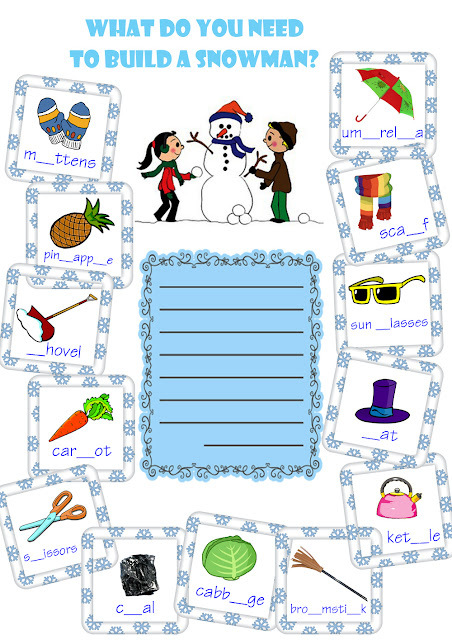 Worksheet 1: This task aims at practicing the winter clothes vocabulary. Children should help the Snowman, the main character of my song, match the pictures of winter clothes with the letters they begin with. This is a very simple task which can be done even by preschoolers. 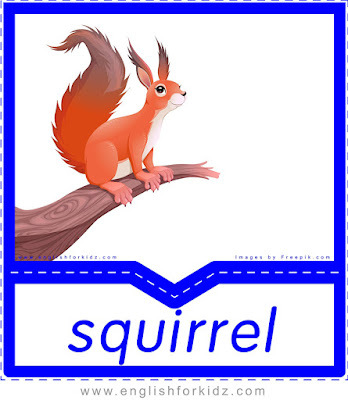 Worksheet 2: This assignment aims at practicing spelling. 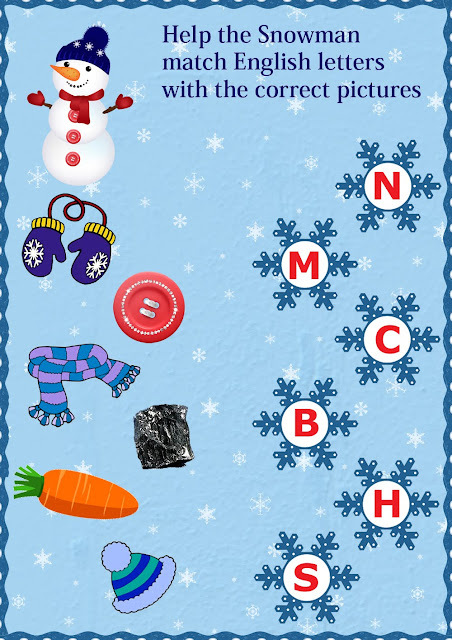 Students should insert the missing letters into the given words and then decide what they need to build a snowman. (a hat, mittens, a scarf, a broomstick, a carrot, a cabbage, a pineapple, an umbrella, sunglasses, a bike, scissors, a book, a kettle). The chosen items should be written down on the lines in the centre of the worksheet. I am very happy to have an opportunity to share these worksheetes with you and your young students. Please, feel free to comment in my blog and share your ideas in teaching English too. Very creative. The worksheets provided are very useful and children can easily learn so many new things. 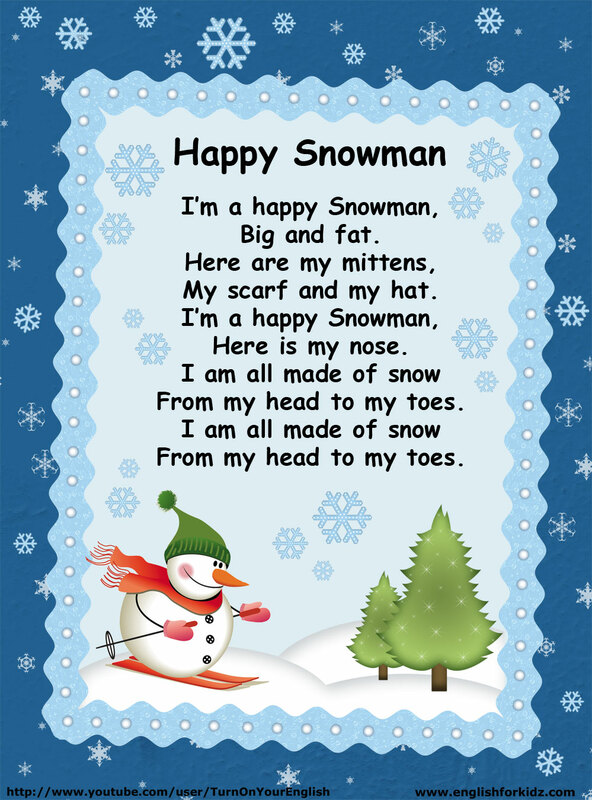 I also like the snowman song and will help my children to learn it using the video.